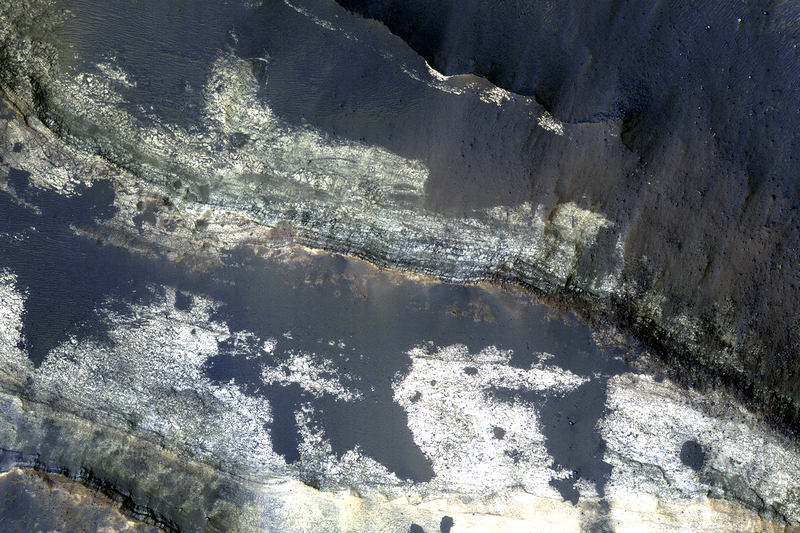 The north-facing wall of a moat-like depression in the middle of Terby Crater exposes a beautiful 400 meter-high sequence of light-toned, repetitive sedimentary layers. 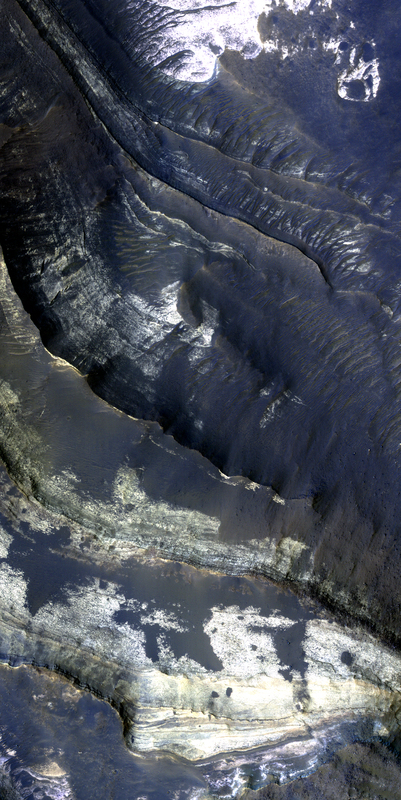 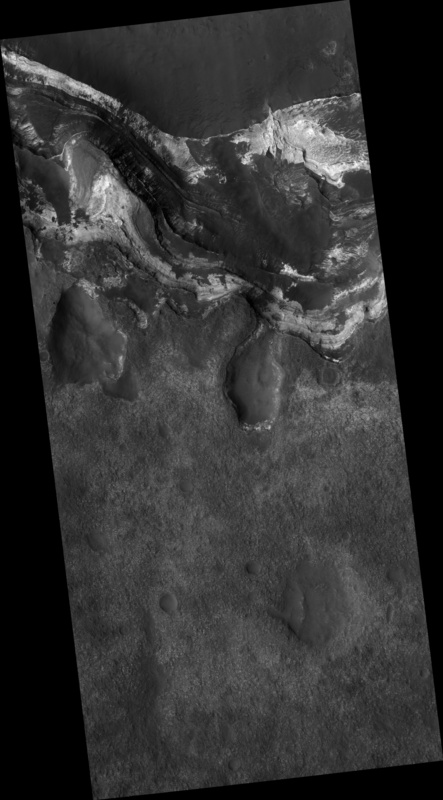 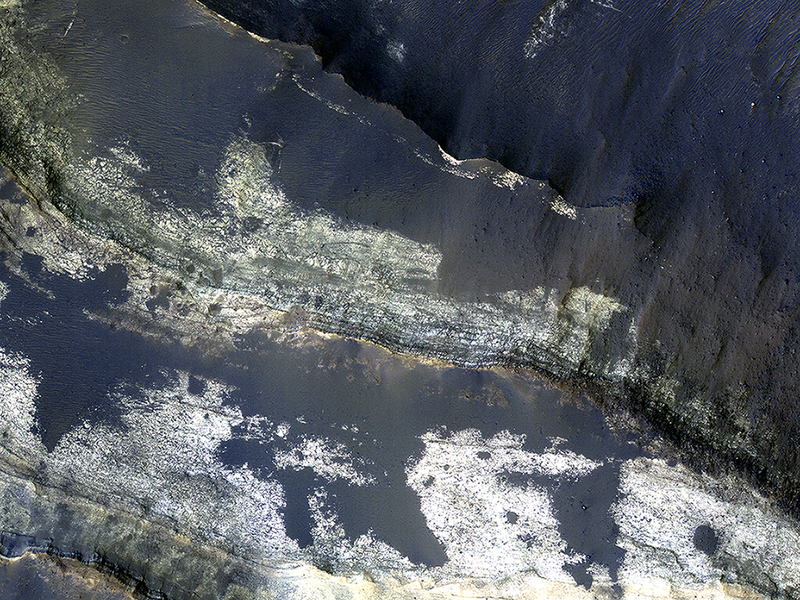 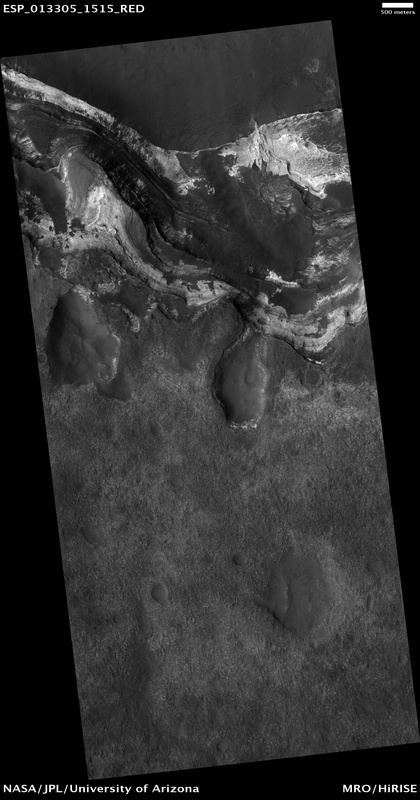 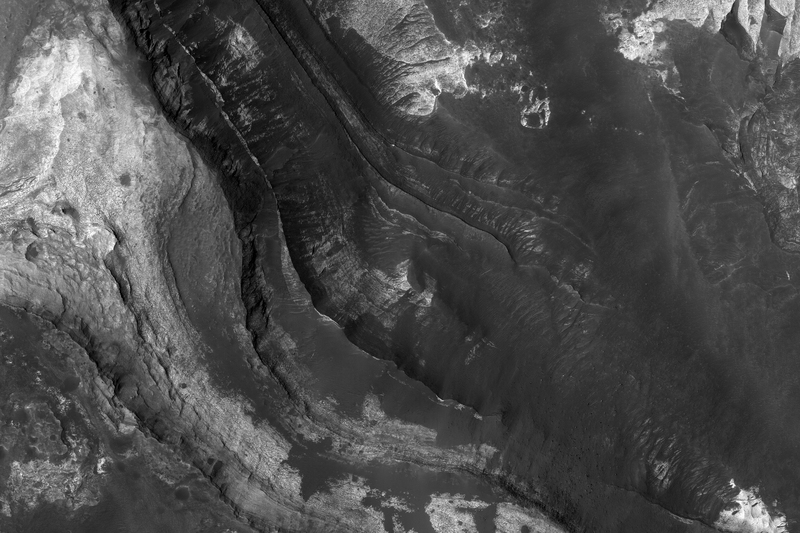 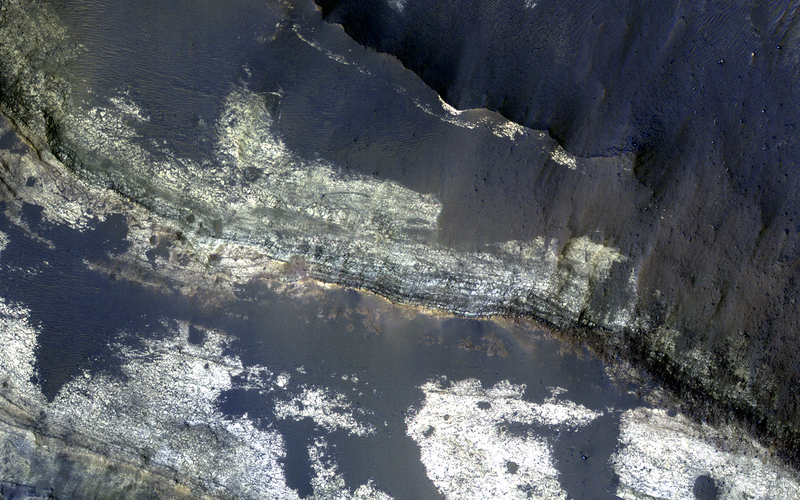 These deposits are often obscured by darker-toned patches of material as well as ripples and dunes. The deposits in Terby, located on the northern rim of Hellas Planitia, are consistent with deposition in a standing body of water. The layers have been proposed as science targets for future landed missions.